How does your business manage its technology solutions? If you’re like most small businesses, you likely have limited technology maintenance, and not necessarily due to any fault on your part. Small businesses have limited budgets and resources available to them, making technology maintenance less accessible. Thankfully, managed services are here to make sure that you never settle for less than what your organization needs. In terms of managed services for technology maintenance and management, you might be surprised by how diverse and wide the breadth of services offered actually is. 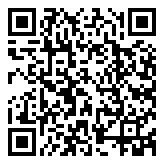 There are IT services for just about any resource that your business would want to take advantage of. We’ll walk you through some of the best and most valuable that any organization can leverage. Servers require intensive care, as does the rest of your business’ computing infrastructure. If you’re not a trained technology expert, you probably shouldn’t be handling servers, as the slightest issue could set off a chain reaction that leads to unprecedented downtime and data access issues. Unfortunately, hiring individual trained IT professionals can be expensive, and you could be limited by your geographical region as well. Managed server hosting can eliminate the need to host servers on your infrastructure. A managed service provider can host them off-site in a secure location where all of your data can be accessed remotely and maintained by on-site staff. Network security is one of those tricky parts of managing a business that requires a lot of industry-specific knowledge. Because of this, network security is something that a lot of businesses fall short on, as they either don’t have professional staff on-hand who know how to secure specific kinds of data, or they simply don’t perceive themselves as vulnerable. This is very far from the truth. If you don’t take steps toward keeping your business secure now, you could regret it in the future. This is why we urge you to consider implementing security best practices now, while you still can. Outsourcing this responsibility to a managed service provider is an excellent way to make sure that patches and other security augments are managed and maintained properly. Even if you have an in-house team, they likely don’t have time to get to every little bit of technology maintenance and management, let alone help all of your organization’s employees work with their own devices. In cases like this, it’s helpful to have an outsourced organization that you can rely on to pick up the pieces that your in-house team can’t get to. This includes helping others within your business with any issues that they might be having with their devices. Think about how much time your employees could save if they had a single number to call for anything related to their technology troubles. Overall, the biggest value point that you can get from managed services is the cost vs. value. You actually wind up saving money in the long run by working with a managed service provider, as the value received from working with an outsourced provider ultimately winds up paying for itself compared to investing in adding new salaries to your budget. 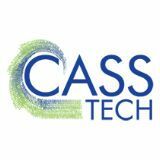 CASS Tech can help your business with just about any managed services you’ll need. To learn more, reach out to us at (248) 538-7374. CASS Tech has been serving the Farmington Hills area since 1999, providing IT Support such as technical helpdesk support, computer support, and consulting to small and medium-sized businesses. CRM or ERP: Which Is Right for You? Copyright CASS Tech. All Rights Reserved.